Audi adds new A8 Sport to updated range | What Car? Audi has added a new trim level to its A8 line-up, with a new A8 Sport model joining the range. Replacing the older Sport Executive specification, the new A8 Sport will go on sale this summer and forms part of the updated A8 range. Available in standard wheelbase guise only, Sport models get slightly tweaked exterior styling "reminiscent of the flagship S8", as well as new side skirts, Matrix LED headlights and 19in alloy wheels. Inside, an upgraded sound system features alongside Audi’s connected infotainment, which can act as a WiFi hotspot on the move. Elsewhere in the updated range, the LWB A8 continues to be powered by frugal petrol-electric hybrid powertrains, as well as the current 6.3-litre W12 and twin-turbo 4.0-litre V8 options. Standard wheelbase models get either a 3.0-litre V6 diesel - with power now boosted to 258bhp - or a 4.2-litre V8 diesel. 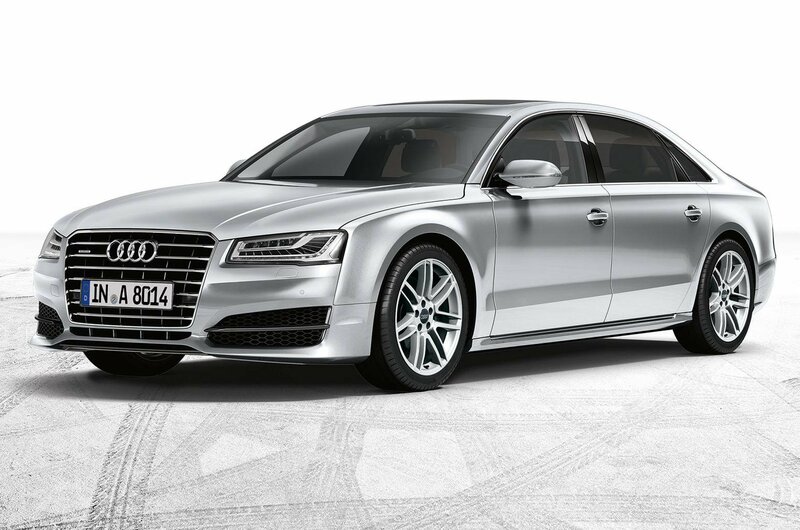 The MY16 Audi A8 range starts from £59,585. Prices for the A8 Sport start at £65,825 for the 3.0-litre diesel, and rise to £76,435 for the 4.2-litre V8 diesel.